Saginaw Bay windy weather and muddy water slowed fishing all over the bay. 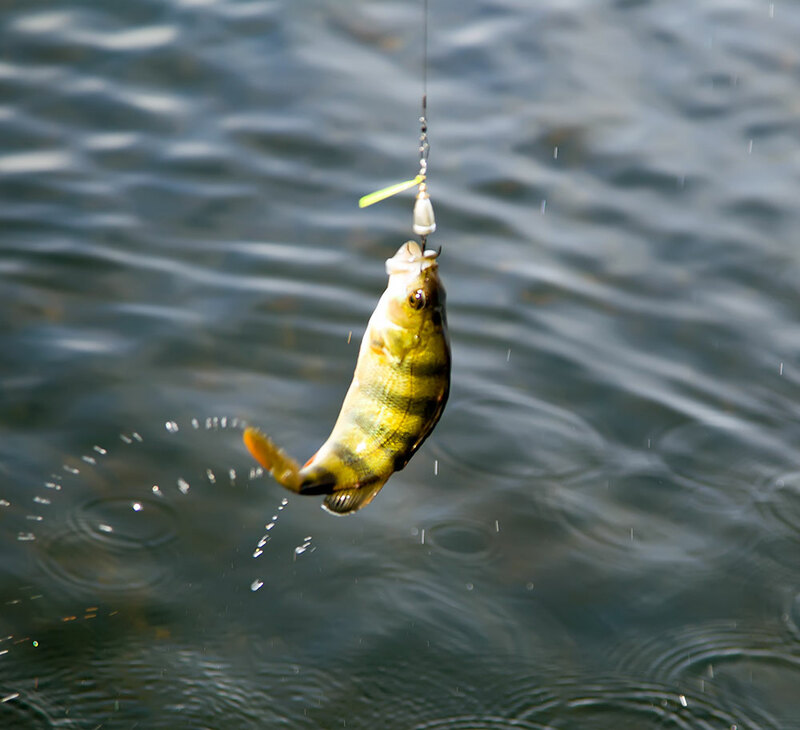 A few perch were taken near the sailboat buoys but anglers were working hard to get them. Catfish could still be found near the Hot Ponds. Perch fishing was spotty off Quanicassee. Those that moved around did better. 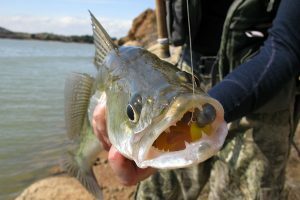 Those trolling for walleye got a few out from the Slot and beyond the Bar from Oakhurst to Sunset Bay Marina in 12 to 20 feet when using a crawler harness with bright colored spinners. Shore anglers at the marina in Sebewaing caught bluegills on worms and largemouth bass on artificial baits. A few pike were caught off Geiger Road. 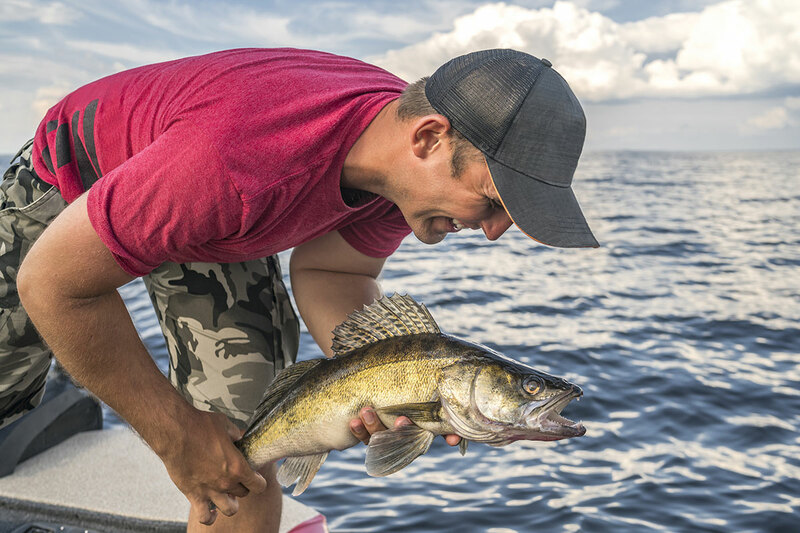 Summer walleye fishing is about done. Anglers will have to wait until they come into the Saginaw River system in late October and November. 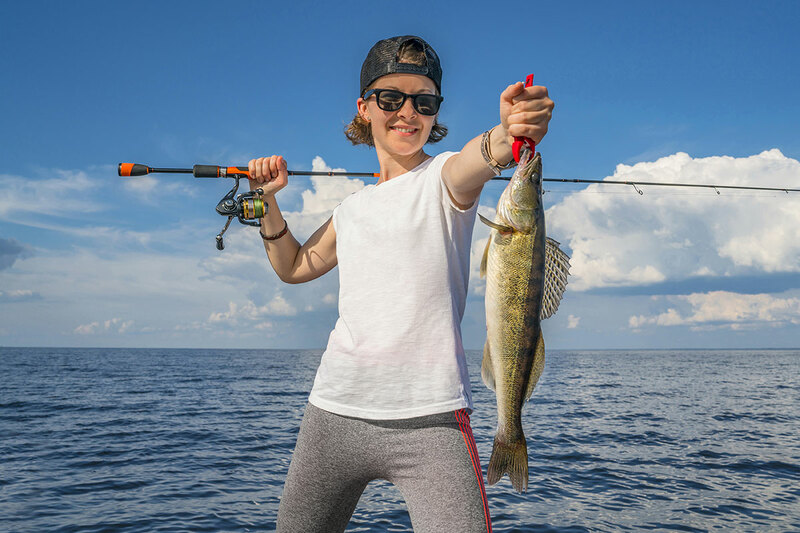 Au Gres Area walleye trollers are still getting a few fish straight off the mouth of the river, south of Point Au Gres, and off the Saganing and Pinconning Bars in 15 to 20 feet. Perch were found off Eagle Bay Marina in 10 to 15 feet. The average was 25 to 40 fish per boat but they were sorting out a lot of small ones. Fishing slowed but the cooler weather may get it going again. Bullhead, bowfin and a few small perch were caught at the mouth of the Pine River. Oscoda lake trout were caught near the bottom in 110 to 160 feet. Steelhead and Atlantic salmon were taken in the top 30 feet. Try spoons, meat rigs or spin-glo’s. A few Chinook were caught at the mouth of the river in 24 feet. Pier anglers casting jerk baits and stick baits caught walleye in the early morning. 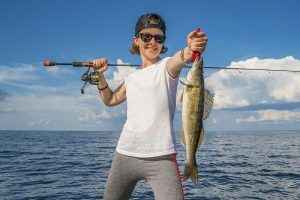 Au Sable River: A few walleye were caught near the mouth in the morning or evening when drifting crawlers or casting stick baits, crank baits and small spoons. Smallmouth bass were hitting crank baits and small jigs as well as crawlers drifted on the bottom. Pike were hitting on crank baits in the slow waters of the lower river. Rock bass and freshwater drum were taken on crawlers. Tawas Area those trolling caught a few lake trout, steelhead and one Chinook in 60 to 80 feet. Walleye were found in 40 to 60 feet off Tawas Point and down near Alabaster when using a spoon or crawler harness. 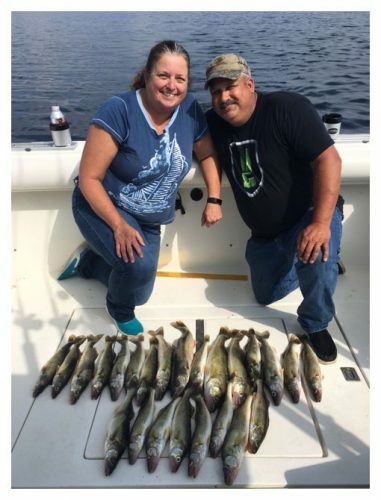 A couple small perch were taken off Jerry’s Marina in the weed beds near Buoy #4 and off the pier. A few walleye were also taken off Jerry’s Marina when casting Erie Dearies in the weed beds. Did you know there are typically two populations of bass in a water body? One that lingers near the shore to feed and one that hangs in deeper water and moves through structure to feed? Both populations provide great opportunities for fishing, but many anglers overlook the bass in deeper water. The next time you head to your favorite bass lake, consider fishing deeper water, particularly around larger weedbeds. Fish will often hang out in the weedbeds and move up through the depths to feed. For more information on fishing for bass in Michigan, visit the DNR’s Michigan Fish and How to Catch Them website.